Do you purchase organic foods? Do you know what you are looking for when making such purchase? Here’s a great article from the folks at MotherEarthLiving about what to look for in the labeling of organic foods so you can make sure you are really getting what you are buying (and often paying extra for)! 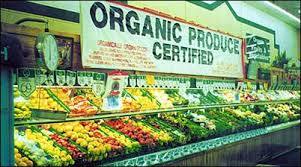 Tell us in the comments about your tips/ideas for buying organic and what you love about eating organic foods.